Click to choose a Size: -- Choose Size -- 12"x12" 5"x7" 8"x8" 8.5"x11"
PIONEER-EZ Load Memory Book. 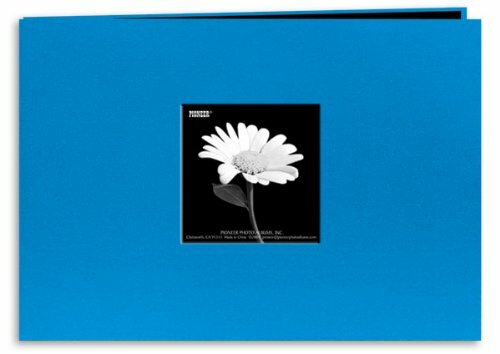 This 8in fabric covered postbound album features a large 2-7/8x2-3/4in photo window on the front cover; ten top-loading; crystal clear; archival; photo safe and acid & PVC free polypropylene page protectors with heavy cardstock inserts and a clear vinyl dust cover. Album measures 9x9-3/4x1-1/8in. Album is available in a vast variety of colors: each sold separately. Imported.